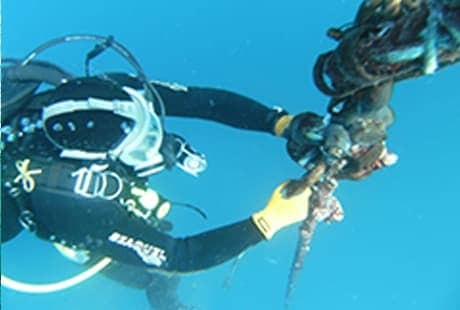 Flag Alpha Commercial Divers is owned and operated by Kevin Phillips and his wife Cheryl. 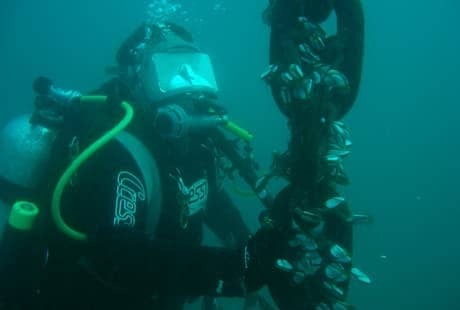 Commencing his diving career in the military as an Army Diver, Kev then worked as a commercial diver before starting his own business as the original owner of Wolf Rock Dive Centre in Rainbow Beach. 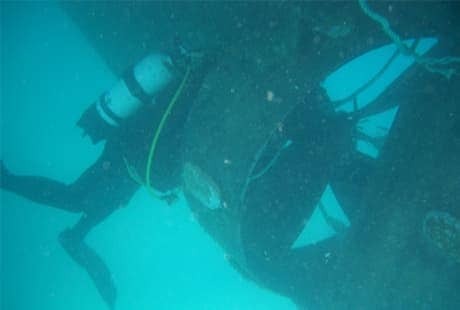 This company offered guided recreational dive charters to one of the most extreme dives in Australia as well as providing commercial diving services to clients throughout South East Queensland. Since selling Wolf Rock Dive in 2017, Kev and Cheryl are now concentrating their efforts on just the commercial diving business. 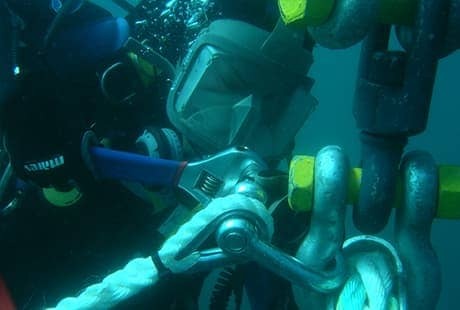 As per Commonwealth Government requirements Kevin, Cheryl and their dive team are ADAS qualified divers with Kev holding an ADAS Supervisors ticket. In addition, Kev is a First Aid Instructor and an Invigilator for Marine Radio Exams provided by Australian Maritime College. 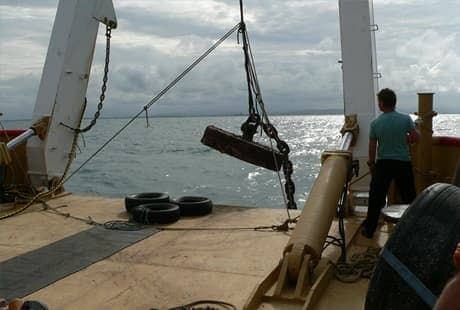 To continue providing the highest level of service possible they now keep plant and equipment in both Rainbow Beach and Mooloolaba, which allows them to easily access areas from Bundaberg to Brisbane particularly with mooring installations and inspections. For all your mooring needs from installation to maintenance. Splicing service and mooring chandlery available. 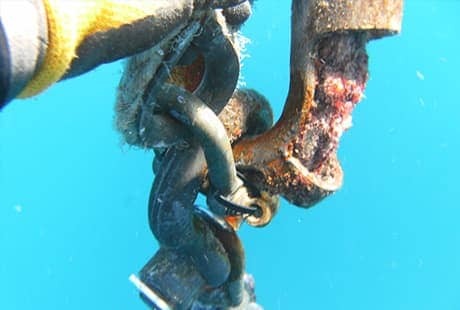 Buoys, shackles, swivels etc. 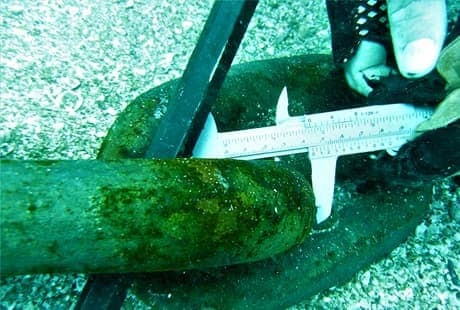 Light vessel salvage or removal. 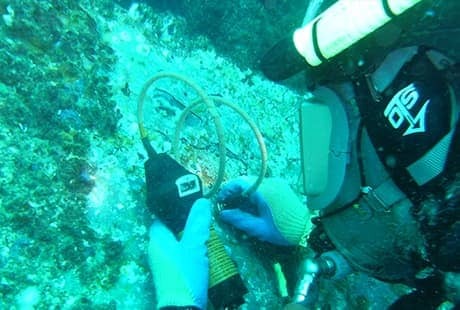 Recovery of lost machinery or tools. Keep your vessel ready for use with scheduled cleans. Enquire now for more information. From building moorings to underwater concreting for jetties, all services catered for. All our First Aid courses are recognized by Work Place Health & Safety.